Based on figures gathered through International Data Corporation (IDC) Philippines' Quarterly Mobile Phone Tracker in Q1 and Q2 2018, smartphone shipments in our country reached a whopping 7.8 million units in the first half of this year, which represents a notable 5.6% year over year growth compared to the same period in 2017. 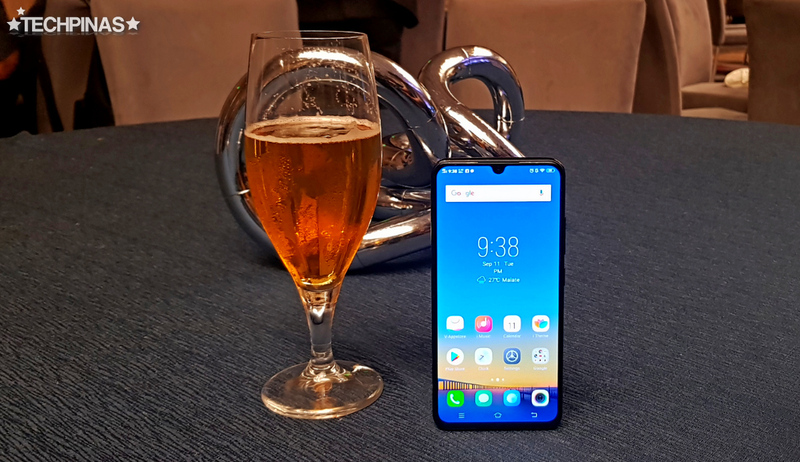 According to IDC, the smartphone market in the Philippines for the first half of this year showed growth compared with last year due to the increase in shipments of midrange smartphones. Despite the fact that ultra-low-end smartphones still have the biggest market share in this territory, the average selling price or ASP of a smartphone grew to US$192 - or around PHP 10,500 - in 1H18 compared with the US$127 - or around PHP 6,900 - before in 1H17. 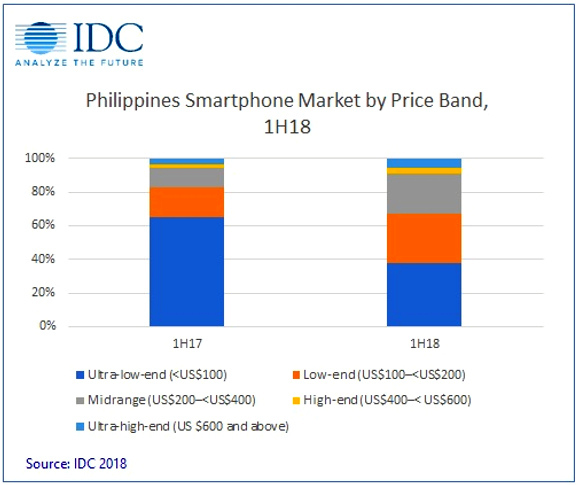 To quote Ms. Polyne Gallevo - Market Analyst of IDC Philippines, "The higher ASP indicates that end users are willing to invest in a phone with better specifications and features to suit their latest needs. Use of phones have become heavier, aside from end users being accustomed to using smartphones as a platform for capturing, sharing, saving content, and streaming videos, engaging in higher form of mobile gaming has also been emerging." She added, "Keeping in mind that Filipinos remain to be price conscious and want to ensure they get the best value of their money, brands now highlight not only the quality of cameras but also features that make smartphone usage experience better such as near bezel-less screens, high-speed processors, quality speakers, AI features, and long battery life to ensure the customers that the brand is the bang for their buck." Looking at the graphs above, I would say that it's clear that more and more Filipinos are leveling up from their ultra-low-end Android smartphones and buying more powerful low-end and midrange devices that can meet their growing demands as mobile consumers. On top of that, if you compare the size of the gold and the light blue bands from 1H17 to 1H18, you will see that sales of High-End and Ultra-High-End (Flagship) smartphone models, which sell from PHP 21,000 to PHP 70,000, also saw an obvious increase. Based MemoXpress' Best-Selling Smartphones Lists released within the first six months of 2018, some of the most popular midrange Android handsets in the Philippines include the OPPO F7, Vivo V9, Huawei P20 Lite, Samsung Galaxy J7 Pro, Nokia 7 Plus, and Asus ZenFone 5.